The four seater DB4 sports car convertible, based on the Touring saloon, was introduced at the London Motor Show in September 1961, priced at £4,449, when a detachable hardtop was also made available. The standard 3.7 litre, six cylinder, twin cam engined variant had a top speed of 136 mph, with 0-60 mph in 8.5 secs. Only 70 convertibles were ever built when production ended in 1963, with 30 of the Series 4 variant, and the other 40 from the Series 5. Furthermore, 11 of the Series 4 convertibles were fitted with the higher output Vantage engine, as were 21 of the Series 5. Introduced at the 1959 London Motor Show, this was a lightweight version of the earlier DB4 fastback, and designed with racing in mind. This involved shortening the wheelbase of the standard car by 5 inches, replacing the rear seats with a luggage platform, and using lighter 18-gauge aluminium body panels on a steel chassis. Together, this reduced the overall weight of the car by 91 kg to a curb weight of 1270 kg. It had distinctive front cooling vents, and a larger air scoop on the bonnet, with leather upholstery and wool carpeting on the inside. What made the GT so special was that it was powered by a tuned 3.7 litre, or optional 3.8 litre engine, with two distributors, three twin choke Weber carburettors, and each cylinder having two spark plugs. With a modified cylinder head and a 9.0:1 compression, it developed 302 bhp at 6000 rpm, and 270 ft/lbs of torque at 5000 rpm. Fitted with a four speed manual gearbox, it produced a top speed of 152 mph, with 0-60 mph in 6.1 secs. It used non-assisted Girling disc brakes all round, and featured faired-in headlights with perspex covers, and wire wheels on alloy rims with knock-off hubs. Works cars, in the hands of Stirling Moss and others, provided a strong challenge to Ferraris commanding position in GT racing, at that time. It was entered, alongside the race-winning DBR1, in the 1959 Le Mans 24 Hour race. This sports car was comfortable on both the race track and as a GT car. Interestingly, one of the cars received body styling by Bertone, and was designated the Bertone Jet. By the time production ended in 1964, 75 GT's had been built. With the DB4 Series 4 launched in September 1961, a version was offered with the higher output Vantage engine, which was fitted with a modified cylinder head, together with three SU carburettors, which increased output to 266 bhp, and 255 ft/lbs of torque. This produced a top speed of 149 mph, with 0-60 mph in 6.3 secs. 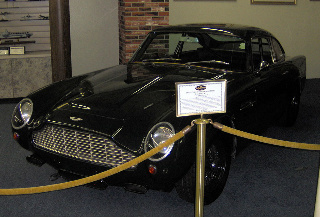 Fitted with the faired-in headlights as used in the DB4 GT, a total of 136 saloons and 32 convertibles received the Vantage engine, and were designated as the DB4 Vantage. 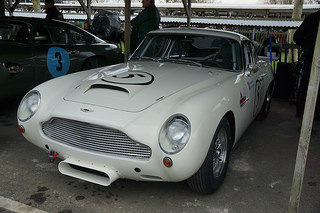 Series 4 and 5 DB4 Vantage GT's were fitted with the GT-style front section, containing recessed, Perspex-covered headlights. 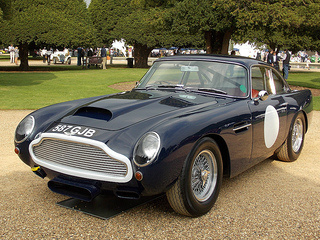 Six of the Series 5 coupes, five of the Series 4, and three of the Series 3, none of which were GT's, were fitted with the GT twin plug engine, and were designated as DB4 Vantage GT cars. A selection of the sports cars that were competitors of the Aston Martin DB4 variants included: Jaguar E-Type Series 1, Porsche 911, and Ferrari 250 GTO. 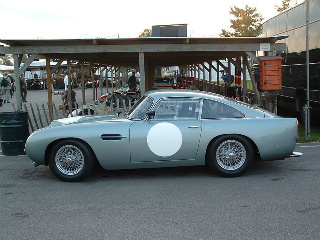 The Series 5 DB4 Vantage sports car from Aston Martin had, depending on condition, a value ranging from $180,000/£115,000 to $340,000/£215,000, whilst the Series 4 Vantage was valued between $350,000/£220,000 and $420,000/£260,000.